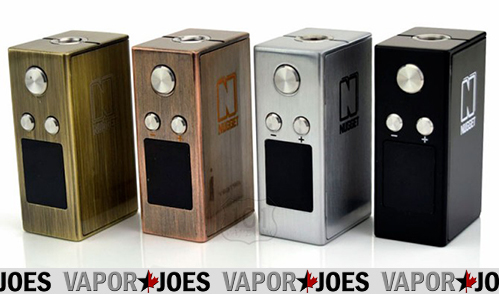 The Nugget is the smallest 50W box mod on the market! It fits easily in the palm of your hand, but provides more than enough power for any atomizer. Constructed from a zinc alloy, The Nugget has a great solid feel and easy operation. It’s able to prevent dry burns with temperature control functionality when used with nickel or titanium wire, but can also be used as a variable wattage or variable voltage device with any type of wire. 22mm atomizers look perfect on this little box, and fit flush due to the spring-loaded positive pin. If you’re looking for something small to carry around that has all the power and features of much larger devices, The Gold Rush Kit is the only option for uncompromising vapers! Artery Vapor is pulling out all the stops to bring you the best devices and atomizers, bar none!